Fun with PONS in Florida - they don't need a horoscope to determine their next moves ! Capricorn PON (Born between December 22nd - January 19th) It's important to avoid overeating and lose some weight. Ask your PON mom to serve up more veggies and less protein. You will face a crisis when you come across a holiday candy which you know will cause embarrassing digestive upsets. Resist that temptation ! The terrier down the street has an eye on you, but your owners never let you play together. Owners need to put their PONS on restricted diets and eliminate wheat if possible. Seek advice on nutrition through research. Aquarius PON (Born between January 20th - February 18th) Zany PON - You just never know what your Aquarius PON will be up to next. These PONS do not follow rules and tend to manipulate owners. Some will achieve new success in the show ring. 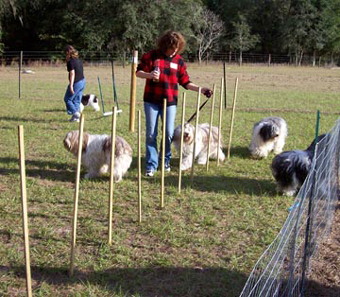 PONS are advised to point their owners in the direction of that training school in the area. A new dog in the neighborhood will cause unexpected problems. Pisces PON (Born between February 19th - March 20th) . True PON love will come your way when your owner finds a suitable mate for you. You've got to forget the German Shepherd who lives around the corner. Puppies will arrive as expected and you will be very busy with them. 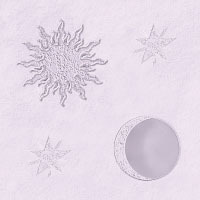 You become easily upset with too much grooming and have started to become more careful about mats. Owners need to ignore gossip about a well known person in the breed and focus on doing their own thing. Remember that having a back bone is important and you need to stand up for your principles. Aries PON (Born between March 21st - April 19th) Feisty PON - This PON needs plenty of exercise and active play to avoid re-gaining those lost pounds. Loud sounds make you nervous and you hope that your owner uses aromatherapy to calm you down during thunderstorms. Join club committees to help your beloved PONS prosper. Call around until you find a committee which best fits your skills. Don't be discouraged by politics. Taurus Dog (Born between April 20th - May 20th) Take it easy PON - Your Taurus PON enjoys nothing more than lolling by the fire and being petted by family members. Not by nature adventurous, he/she will usually be quite content to pass time at home and around the garden. Owners need to find new approaches to exercising their PONS. Some health issues may be revealed in the near future. Don't forget to take heartworm medication on a regular basis.Avoid certain fence jumpers who are seeking information. Cranberries will help prevent gum problems. Gemini PON (Born between May 21st - June 20th) Gregarious PON - This month's PONS enjoy being shown, but could do without all that grooming. A new friend in the breed will introduce a PON puppy which is such fun to play with ! Owners need to remove items from the floor or face digestive upsets. Some coats are becoming lighter as time goes on.That breeding offer is a double edged sword with conditions you need to carefully consider. Cancer PON (Born between June 21st - 21st July) Family PON - There is nothing that a PON born under the sign of Cancer loves more than a large family to look after, except for food. If your PON reacts to yogurt, he/she may be lactose intolerant. You may need to stop giving yogurt if tests indicate lactose intolerance.Gunky ears may start with warm weather months. Leo PON (Born between July 22nd - August 22nd) Proud PON - PONS born during the summer months have a special sense of pride. They do well in the ring and are easy to socialize. Owners are encouraged to groom them often to avoid matting and keep them comfortable during hot weather months. Add more veggies to your PON'S diet. Bananas are a good source of fiber and will provide an extra energy source. Voice your opinions when the time arises or be content with matters. Virgo PON (Born between August 23rd - September 23rd) Working PON - Give your Virgo PON things to do, as they are happiest when they feel useful. 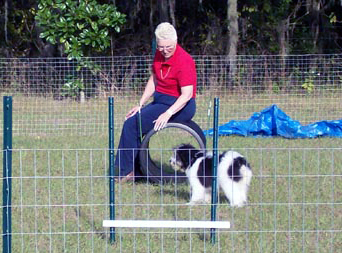 Try agility activities as well as meeting up with new PONS in the breed. New gossip has started, but owners need to avoid problems by ignoring those phone calls. Think for yourself. Try and mentor newcomers in the breed if possible. When was the last time you googled a health topic ? Libra PON (Born between September 24th - October 22nd) Well-behaviored PON - This month's PON was trained quite early on and even later in life, one can observe the results of their puppy training both in and out of the ring. Judges will comment on the good behavior of these PONS. 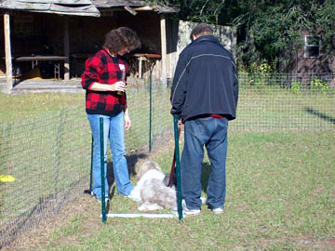 Learn more about PON behavior from professionals in the field. Scorpio PON (Born between October 23rd - November 21st) This month's PONS tend to be curious and this often leads them into some strange situations. They like to explore areas of the house which are supposed to be off limits for them. New gates are urgently needed. Inspect all leashes and collars. Sagittarius PON (Born between November 22nd - December 21st) Adventurous PON - Your Sagittarius PON has an adventurous spirit which often lands him/her in trouble at home. This needs to be corrected as soon as possible. Owners will enjoy meeting up with other owners in the area and participating in matches and other social events. PONS and their people having a fun match in Florida !